Perfect design to easily hang a beautiful plate from our collection on to your wall! 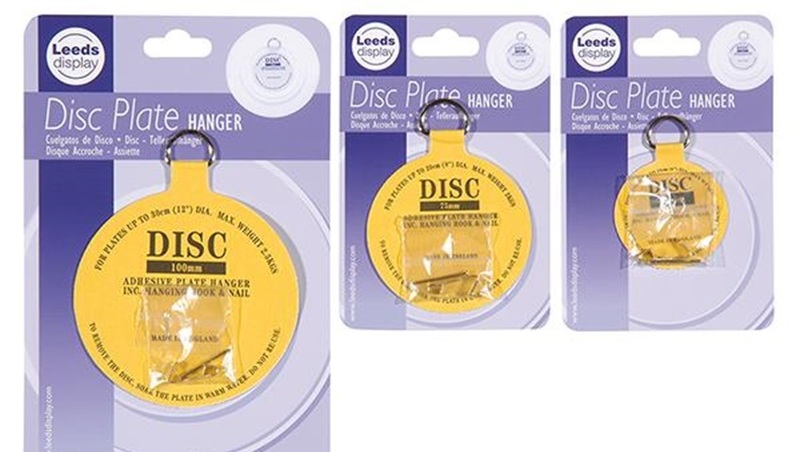 With these disc hangers you can hang a plate almost invisibly on the wall. 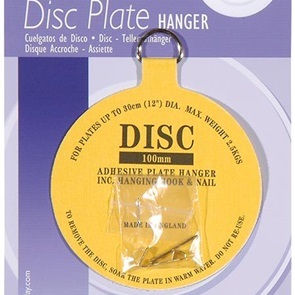 You stick the disc on the back of the plate and you can easily hang it on the wall with a screw or nail. If you do not want the have the plate on your wall anymore you can easily remove the disc, by soaking it in water, from the plate without damaging the board. (The disc is not reusable afterwards.) 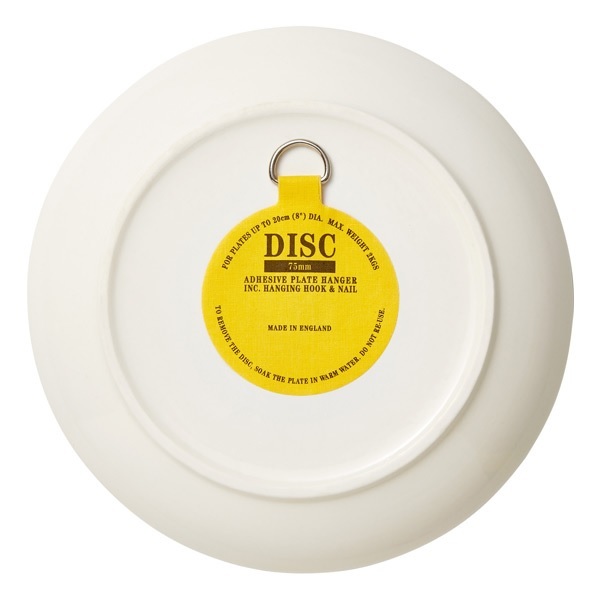 The disc is available in 4 sizes for different sizes and weight plates. Choose your size selection in the box above. Deliverytime: Usually ships in 1 to 3 business days.for disc 3. for a plate with a diameter of max 20 cm. And max weight 2 kg.